Continuing our new member series, this month we'd like to highlight Graham Nash, Jessica Prescott, and Aloe Blacc. Using their unique skills in business and education, each of these new members are sharing a message of hope, awareness and action in creating a better world than they found it. We are honored to have them join us as we fight for equality and justice. 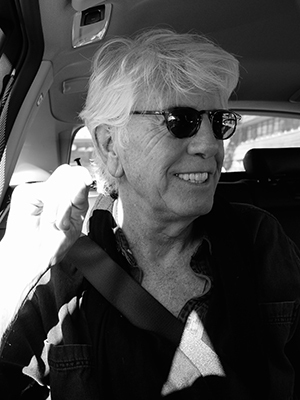 Towering above virtually everything that Graham Nash has accomplished in his multi-faceted career stands the litany of songs that he has written and introduced to the soundtrack of the past half-century. His remarkable body of work, beginning with his contributions to the Hollies opus, including “On a Carousel” and “Carrie Anne,” continues all the way to This Path Tonight (2016), his most recent solo album. The original classic union of Crosby, Stills & Nash (& Young) lasted but twenty months. Yet their songs are lightning rods embedded in our DNA, starting with Nash’s “Marrakesh Express,” and “Lady of the Island,” from the first Crosby, Stills & Nash LP (1969), and “Teach Your Children” and “Our House” on CSNY’s Déjà Vu (1970). Nash’s solo career debuted with Songs For Beginners (1971), which included “Chicago/We Can Change the World” and “Military Madness” and others. In addition to his string of solo albums, he has performed and recorded with David Crosby as Crosby/Nash. Their eponymously titled Graham Nash/David Crosby (1972), is bookended by Nash’s “Southbound Train” and “Immigration Man”. Nash’s passionate voice continues to be heard in support of peace, and social and environmental justice. The No Nukes/Musicians United for Safe Energy (MUSE) concerts he organized with Jackson Browne and Bonnie Raitt in 1979 remain seminal benefit events. In September 2013, Nash released his long-awaited autobiography Wild Tales, which landed him on the New York Times Best Sellers list. In recognition for his contributions as a musician and philanthropist, Nash was appointed an Officer of the Order of the British Empire (OBE) by Queen Elizabeth. While continually building his musical legacy, Nash is also an internationally renowned photographer and visual artist whose work has been shown in galleries and museums worldwide. 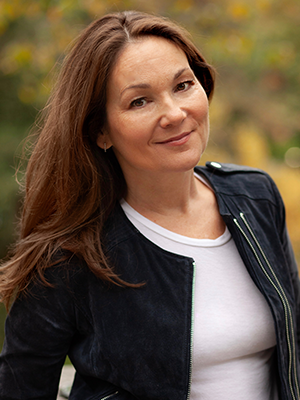 The opportunity to share a passion for living an environmentally responsible life while establishing sustainable living environments (as well as environmental initiatives in the education system) is Jennifer Prescott’s driving lifework. As Sustainability Director of NY Sun Works, a non-profit organization that provides schools with hydroponic science labs - including an environmental science K-12 curriculum, Jennifer supports the implementation of recycling systems, waste awareness and reduction programs, indoor air quality and energy/water conservation education. Jennifer was a co-founder of the D3 Green School's Group Composting Pilot on NYC’s upper west side with the goal of removing food scrap waste from the landfill bound waste stream. The 2012 Composting pilot was adopted and expanded by New York City Dept. (s) of Sanitation & Education (under Mayor Bloomberg) and continues to be implemented throughout the NYC boroughs. Jennifer’s blog, jennyGreenjeans.com, focuses on everyday sustainable living. Access to clean air and water is a human right - globally. Protection of our eco-system’s precious resources is our non-negotiable legacy that we must diligently fight for. charged tracks like Blacc’s acoustic version of “Wake Me Up”—the massive hit he sang and co-wrote for the late Swedish DJ Avicii, which topped the charts in more than 100 countries. 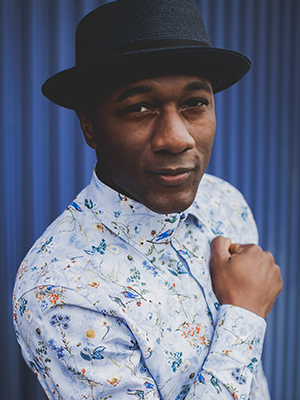 Raised on salsa, merengue, and cumbia, Aloe Blacc fell in love with hip-hop as a kid and started writing rap songs when he was nine. With his lyrics drawing influence from socially conscious artists like KRS-One, he put out his first hip-hop mixtape at age 17. Later developing a fierce admiration for such soul musicians as Donny Hathaway and Marvin Gaye, he also discovered an affinity for folk-rock singer/songwriters during his college years. After inking a deal with indie label Stones Throw, Blacc released his solo debut Shine Through in 2006 and sophomore album Good Things in 2010. Boosted by the breakout success of “I Need a Dollar” (which was selected as the theme song to HBO’s How To Make it In America), Good Things reached gold status in countries around the world and paved the way for his signing to XIX Recordings/Interscope Records in 2012. Made in collaboration with groundbreaking producers like Pharrell Williams, Lift Your Spirit dropped on New Year’s Day in 2014, debuted at #4 on the Billboard 200 albums chart, and earned a Grammy Award nomination for Best R&B Album. In February of this year, Blacc released ‘Lift Ev’ry Voice’ (The Undefeated Mix) with special guests The String Queens, on ESPN’s month-long commemoration of Black History Month, which speaks to the struggle of African Americans today in the new civil right era. Aloe Blacc was commissioned to compose a modern-day rendition of the Black National Anthem originally written by James Weldon Johnson in the early 1900s. Not only was the song revamped for worldwide distribution, but the video, filmed at Thomas Jefferson’s home and former plantation Monticello in Charlottesville, Virginia, debuted nationally on Sunday, February 3, 2019.